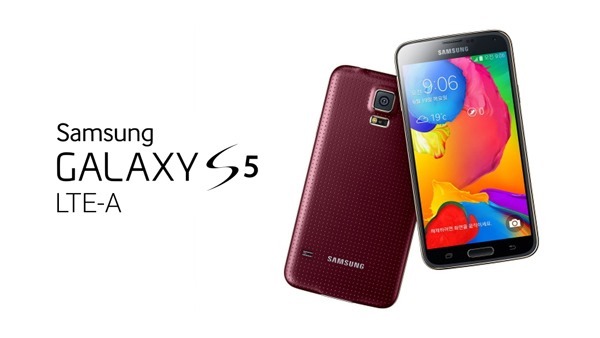 Samsung has just taken the wraps off a brand new variant of the Galaxy S5, which includes beefed up internal specs, along with a feature which many die-hard Samsung fans have been waiting for: a QHD 2K display. It’s been rumored for quite some time that Samsung will come through with the Galaxy F / S5 Prime with a premium, metallic finish. 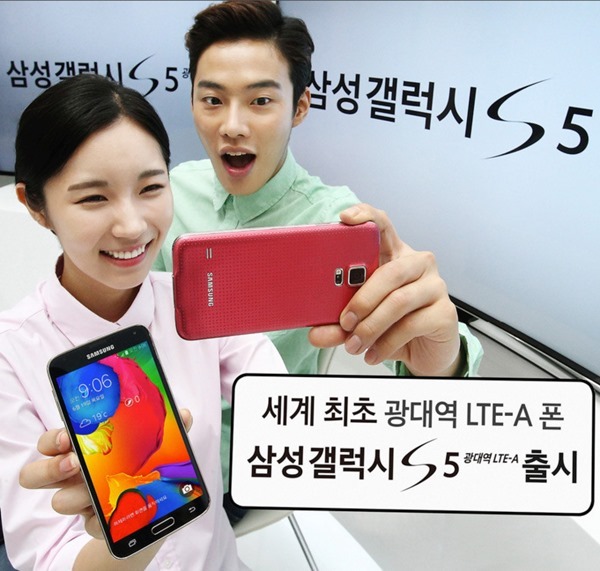 But keeping those rumors in mind, the new Galaxy S5, which has been given the LTE-A moniker, falls short of the premium promise, but falls in line with the rumored specs. The first thing that will catch everyone’s eye is the new monstrous screen resolution. The Galaxy S5 LTE-A still features the same 5.1-inch screen as its older sibling, the Galaxy S5, but it has now got more pixels thanks to the impressive 2560×1440 resolution, that’s equivalent to the 27-inch iMac, just to put things into perspective. That brings the new Samsung phone right in line with the newest offering from LG amongst others, and we all know how Samsung likes to be at the top of the number leaderboard. Other internals have had a spruce up, too. A 2.5 GHz Snapdragon 805 processor beats at the heart of the LTE-A, and as a result the phone is able to connect to the super-fast LTE that’s on offer in South Korea, which should be a big hint at the bad news. If you fancy yourself a new Galaxy S5 LTE-A, you’re going to have to import one, because the new handset is only launching in South Korea, at least for now. It’s not just the CPU and screen that have been upgraded here, either. There’s now 3GB of RAM compared to the original 2GB, and the phone retains all the dust and waterproof properties of the original. If you do decide to import one, you’ll be able to choose from a host of colors; the device comes in Black, White, Blue, Gold, Pink, and Red.